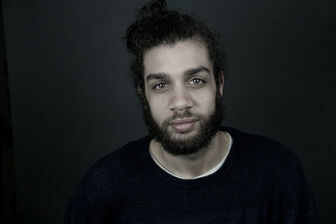 ​Justin Ward Weber is an active composer, music director, and pianist based out of Brooklyn, NY. Justin holds a Bachelor of Music from Stetson University, and a Master of Music degree from New York University, with his music directing credits including “Into the Woods”, “Oliver!”, ”Smokey Joe’s Café”, “Seussical”, “Ragtime” “The Sound of Music”, “James and the Giant Peach Jr”, “Honk Jr”, and “13”. Justin has played new works by emerging composers at the non-profit art presenters “The Tank”, and “New York Theatre Barn" and has frequented such performances venues as the "Acorn Theater" at "Theater Row" for NYMF, “The Duplex” in the West Village, and “The Triad” on the Upper West Side accompanying solo and group cabaret performances. As a composer, Justin’s work has been performed in the U.S., abroad, and with ensembles such as the Orlando Philharmonic Orchestra, and can also be heard in films, animations, and video games. ​Other Englishman personae: Anthony Chapman, End of the Rainbow; Captain Scott, Peter And The Starcatcher. The Dean’s Choice auto-biographical solo show: Speak Up, Rise Up Festival, NYC 2018, Motor City Fringe 2019. Tours: Kiss of the Spiderwoman, Crazy For You, Cabaret, Grease, In the Mood, Paris Lido. RICE UNIVERSITY, Houston; ST. JOHN’S COLLEGE, Santa Fe. Thanks Michael, Kit, Justin, Carol, and all the hard-working folks that made this possible. He also thanks the extraordinarily gifted cast and crew, who bring so much heart and dedication to their crafts. Finally, thank you, the audience for your support. Without you, we wouldn’t exist. ​Broadway: The Music Man; National/International Tours: The Music Man, Peter Pan, West Side Story; Off-Broadway- Sessions, Magpie, An Evening at the Algonquin; Regional: Guthrie Guys and Dolls, Papermill Sound of Music, Arden Parade (Barrymore nominee), Goodspeed 1776, Folger Shakespeare The Winter’s Tale; Audie-winning narrator of over 200 audiobooks. Brandon Shockey is a recent graduate of the University of the Arts where he obtained a BFA in Acting. Uarts credits include: The Skin of Our Teeth and Summer in Gossensass. Regional credits include: 25th Annual Putnam County Spelling Bee (Wayside Theatre), Hamlet, A Midsummer Night's Dream (REV Theatre Co.), and Scene from the Staten Island Ferry (Sundog Theatre). Simon Schaitkin is thrilled to be a part of The Wrong Box! Recent credits: Bright and Brave, Dixon Place; Breaking Ground, NYMF; Into the Woods, (The Baker) Yale University; and Fun Home, (Bruce Bechdel) Yale University. Special thanks to Ginna Doyle, Erin, the Schaitkin Team, and 88 Pieces. SimonSchaitkin.com. ​Represented by RKS Management. Off-Broadway: Endangered! The Musical (original cast). Select Regional: Robber Bridegroom (Goat), Cabaret (The Emcee), All Shook Up (Dennis), Boeing Boeing (Robert), A Funny Thing Happened On The Way To The Forum (Hero), Spelling Bee (Barfee). Love to Mom and Dad. ​Off Bway: The Christians (Choir); NYC: The Nose (Police Chief); REGIONAL: Disney’s Beauty and the Beast (Lefou), My Fair Lady (Karpathy/Quartet), Little Shop of Horrors (Seymour), Thrill Me (Nathan Leopold), The Boys In The Band (Emory), Damn Yankees (Rocky), H2$ (Mister Gatch/Bud Frump U/S), Bare: A Pop Opera (Alan). Happy to be back with Kit and Chase! James Stafford is thrilled to be part of this exciting team! Recent productions: Loch Ness (Adirondack Theatre Festival); Wonderland (Atlantic Theater Company); Hippos (DedoVabo); Alice in Wonderland (Capital Repertory Theatre) and the workshop of Where Angels Fear To Tread (THML). Neil is a composer, arranger and orchestrator who has also worked in the software industry creating systems and algorithms for the processing of digital video and audio. Musical credits include sequencing engineer on the recording of The Witches of Venice by Phillip Glass, a short lived off-Broadway show, and thirty years of composing, arranging and orchestrating for The Mask and Wig Club of The University of Pennsylvania. Carol A. Sullivan is a proud stage manager member of Equity and free-lance production manager based in New York City. Professional credits span Broadway, regional & international theater, corporate, & educational events, concerts & promotions. ​Ryan A. Ross (Assistant Stage Manager) is beyond ecstatic to be working on The Wrong Box! Ryan is a recent graduate from Syracuse University with a BFA in stage management. She has been very fortunate to work with Red Bull Theater, the York Theatre Company, the Williamstown Theatre Festival and the Edinburgh Fringe Festival. Ryan wants to thank her family and friends for supporting her no matter where in the world the theater brings her. Courtney is thrilled to be back working with Kit and Chase after having so much fun on The Nose. She is the costume designer at Packer Collegiate Institute. Her previous designs include The Fourth Wall and The Artificial Jungle (Theatre Breaking Through Barriers) Shulamit (JCC Manhattan). Basil Apostolo is a freelance Sound Designer, Mixer, and Production Manager. Select credits include A1/Mixer, Endangered! (Off-Broadway); Sound Designer, Little Shop of Horrors (NYU Tisch New Theatre/SoHo Playhouse); Production Manager, Onward: A Concert to Benefit Good Chance Theatre. Upcoming: Production Manager, Next to Normal (Tisch New Theatre/SoHo Playhouse). Gabby Cogan is a performing artist and choreographer based in New York City. 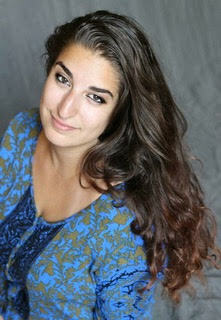 She has worked as an Associate Choreographer for the Off-Broadway shows; Money Talks and Endangered! The Musical.Her Choreography has been seen in The Fall (Dorothy Young Center for Preforming Arts) and at Broadway Dance Center (2016 Performance Project). Other work includes performances in Rock N' Roll Debauchery's Burlesque Dreams (Off-Broadway), Zanza Steinberg's PERŸPLEXED (Off-Broadway), and Buglisi Dance Theater's Table of Silence (Lincoln Center). Michael Grant is a video preservationist by profession, but his main thing is being married to the amazing playwright, Kit Goldstein Grant. He has previously done props for her musicals The Giant Hoax (Classic Theater Guild, 2010; Gallery Players, 2017) and The Nose (Midtown International Theater Festival, 2016) and is exceedingly cheerful to be helping out with them on The Wrong Box! Helene specializes in the indie market. She collaborates often with theatre producer Daniel Neiden and has worked with film directors, Frank Henenlotter and Anthony Sneed. 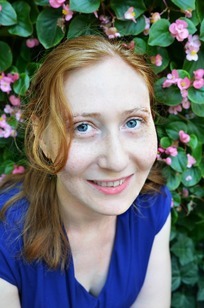 Helene also works as an actor and has been an associate producer on several award winning short films. Many thanks to Kit and Chase for such an enjoyable experience! ​Created and operated by Michael Chase Gosselin and Tim Sulka, Visceral recently Executive Produced and General Managed the critically acclaimed hit revival of Kurt Vonnegut Jr.’s Happy Birthday, Wanda June for Wheelhouse Theater Company, as well as the world premier of Emojiland at NYMF 2018. Other productions include: Midnight at The Never Get, (NYMF 2016, Provincetown 2017), Money Talks and Endangered! (Off-B’way 2017, Davenport Theater), POPE! (NYMF 2015) and LUDO’s Broken Bride (NYMF 2016). Upcoming: The First Annual Trump Family Special (The Triad), The Wrong Box (Theater for the New City), Midnight at The Never Get (Off B’way). In Development: The Most Miserable Christmas Tree, The Black Ledger, You Don’t Love Me Yet, Too Many Zooz: The Stage Show, Urbn Faerytales. Learn more about Visceral’s projects and services at www.visceral-entertainment.com. *These Actors and Stage Managers are appearing courtesy of Actors' Equity Association.